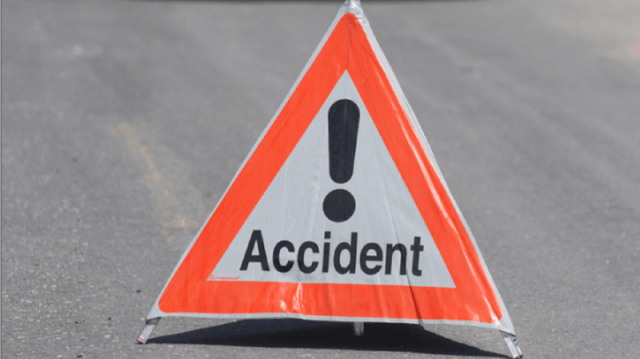 Banepa, 7 February : Two persons died when a tipper carrying wedding attendants met with an accident at Sunkoshi Rural Municipality-2 Kamerephant in Sindhuli district along the BP Highway on Wednesday evening. Critically injured Krishna Maya Majhi, 22, and Chunpai Lama, 16, of Temal Rural Municipality-9 died while undergoing treatment at Dhulikhel Community Hospital, said Rabiraj Khadka, Superintendant of Police at Kavre District Police. The tipper numbered Ba 4 Kha 9438 carrying wedding attendants to Temal of Kavrepalanchowk from Khandadevi Rural Municipality-1, Kathore of Ramechhap district had lost its control and overturned on the road side at around 6.30 pm. Among the injured, twelve-year-old Dinesh Tamang and Niraj Majhi, 12, of Temal Rural Municipality-9 were taken to Trauma centre, other seven were sent to Kathmandu for further treatment and remaining are being treated at Dhulikhel Hospital. Police held tipper driver Khadak Majhi, 37, of Khandadevi Rural Municipality and initiated investigation into the incident. Meanwhile, a motorcyclist died when he was hit by a commuter bus in Chitwan last night. Bhim Bahadur Thapa, 38, of Ichhakamana Rural Municipality-4, Lewatar died when the Kathmandu-bound bus (Ga 3 Kha 3269) from Muglin knocked his motorbike (Lu 5 Pa 6856) at Kurintar at around 9.45 pm, confirmed Nabin Budhathoki, Police Inspector at Muglin Area Police Office. Police took control the bus and driver for investigation.